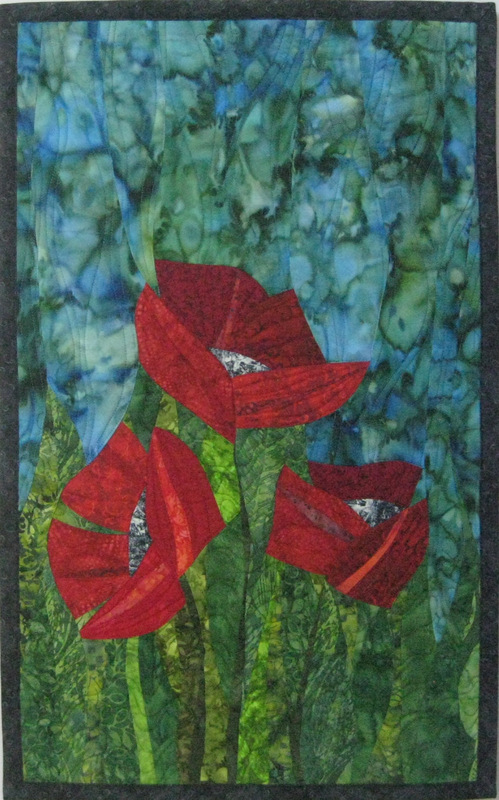 of all the different designs and background fabrics I’ve used so far. 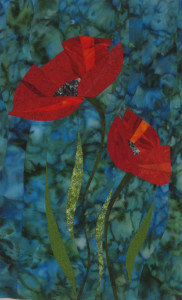 My first poppy quilts used a stunning blue/green batik background fabric. Then I found the Stonehenge fabrics! 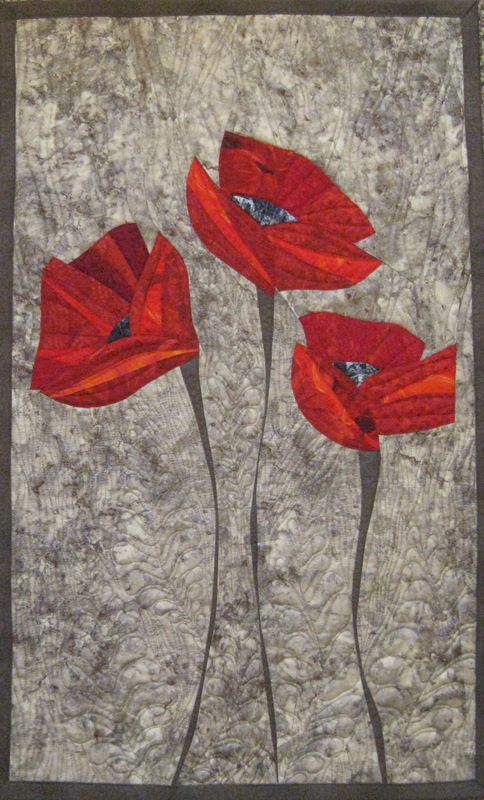 The beige/grey/brown Stonehenge is absolutely fabulous with the red poppies – my first quilt in that design sold quickly so I have another one in process. 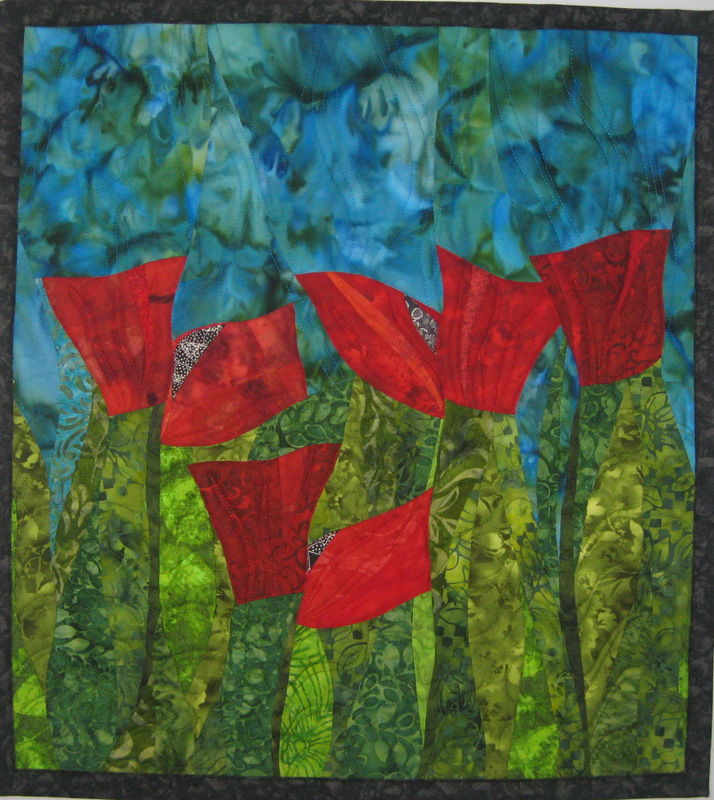 When buying more of that fabric I got hooked on the green/teal/brown Stonehenge which I used for the background for a yellow poppy art quilt. I think I better go check out the other Stonehenge colors and just buy them in preparation for other color combinations! There is something about the Stonehenge pattern (or the randomness of the pattern) that makes the fabric perfect for the kind of detailed piecing I need to do around the flowers and for the background. The most challenging aspect of these poppy quilts is the piecing of the flowers. 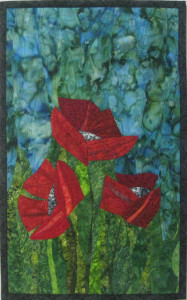 I’m not doing any applique so the puzzle of how to do the piecing must be sorted out with each design. 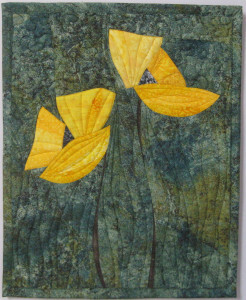 I usually make a bunch of “petal” pieces in different sizes and sh apes, using at least two different fabrics for each one. 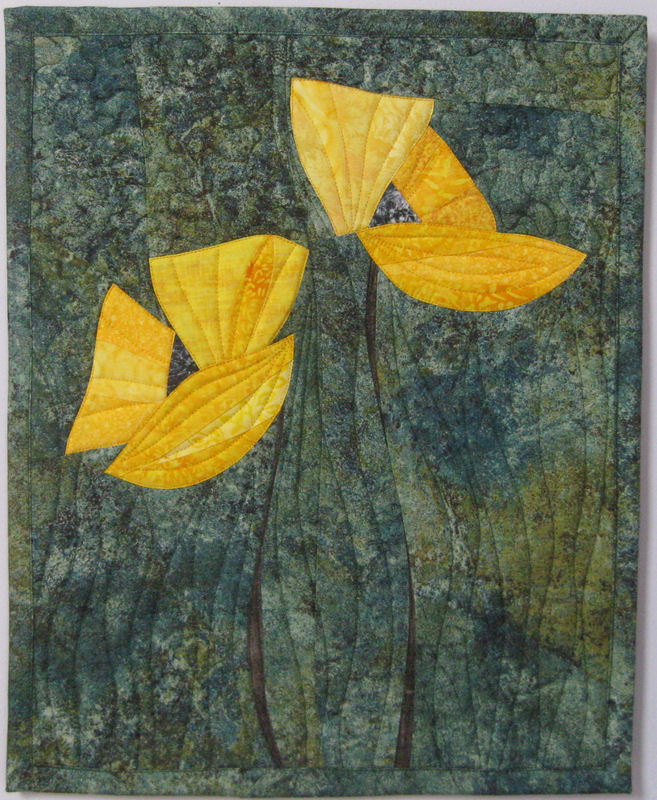 I like the effect of many different fabrics found in one flower. 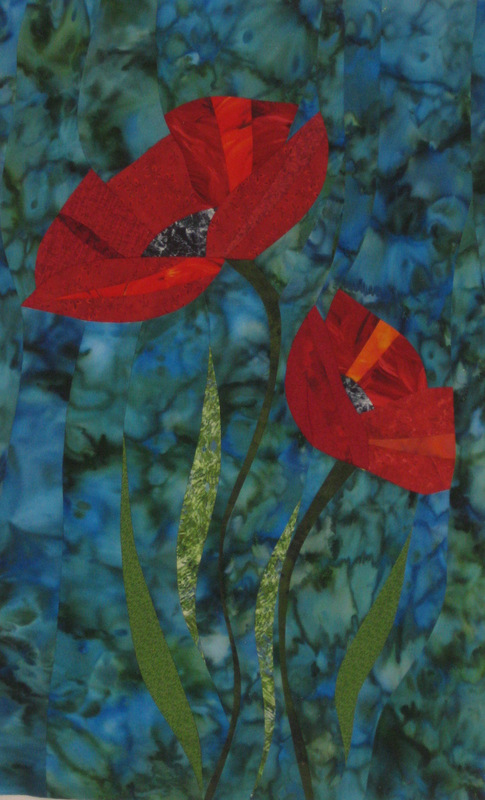 Then I design the actual flowers (made up of 3-4 petals) on my design wall and figure out how the multiple flowers will be arranged in the quilt. After all those decisions are made, I must figure out how to piece it together with the background, starting with the pieces underneath other pieces and w orking my way up through the layout to the petal pieces on top. 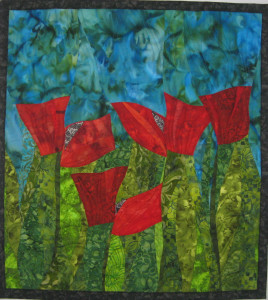 I can’t wait to try different backgrounds with different poppy colors!